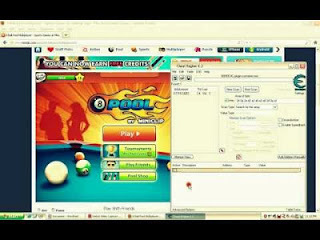 8 Ball Pool Hack No Stop Spins Ball, This cheat function to make the ball will not stop spinning, with this hack you will always win in every match. Terms, internet fluently and you should be patient. Then click file >> click load then select the file .CT you downloaded earlier. Look at the spin ball, spin ball will not stop. Work ga ini cara gan? saya belum coba nih soalnya, yang lain saya coba belum bisa..